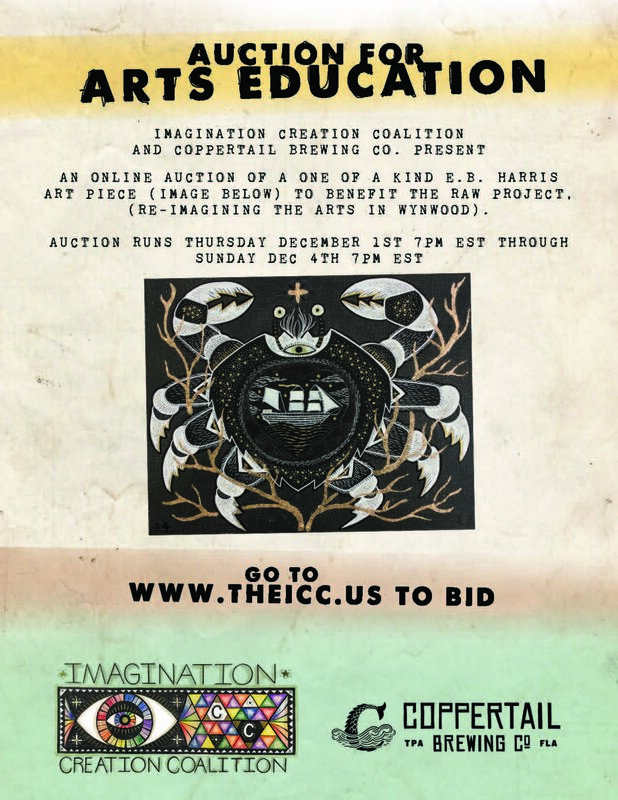 Dec 4-7th, 2016 ; Art Basel partnership with Imagination Creation Coalition, Coppertail Brewing and the RAW Project (Re-Imagining the Arts in Wynwood). E.B. Harris painted a mural at the Eneida M. Hartner Elementary School in Miami and put a piece up for silent auction to benefit RAW and Miami Schools.